How does following a training plan help? Ensuring that you are carrying out appropriate sessions for the time of year. Helping you transition between different phases of training. Progressively improving your endurance, strength and speed. Ensuring that you peak at the right time for those key races. All of my training plans are customised for you as an individual. This means that not only will they be appropriate to your level of fitness and overall goals, but they will be designed to fit around your life and other commitments to ensure that you use the time you have available for training to the best possible effect. You will need to fill in a questionnaire to provide me with background information about you, your training, goals, available time etc. Using this and an interview (either by phone or in person) I will design your first training plan. Each training plan will provide 4 weeks worth of sessions and will follow a rolling 3 or 4 week cycle of recovery and load weeks depending on your current level of fitness. Each week I will ask you to send me a detailed training return which will describe your training during that week and a few physiological markers. I will also contact you once a week to discuss how things are going. Based on this information, I will prepare your subsequent plans. I currently coach athletes in Wales and beyond. I can coach you through a series of training plans wherever you are located in the UK. Get in touch to get going! 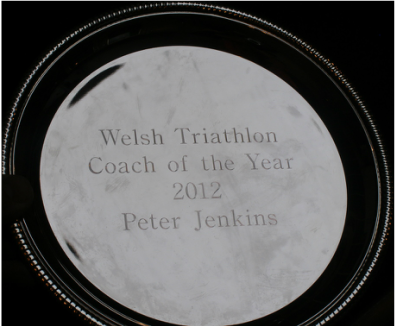 "By following Pete's coaching plans I went from a very slow novice to competing at both the European and World Triathlon Championships."